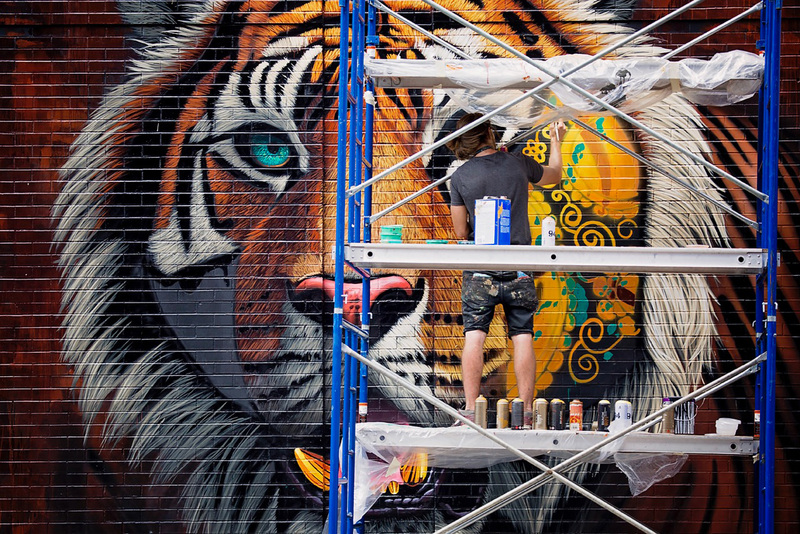 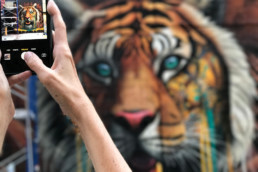 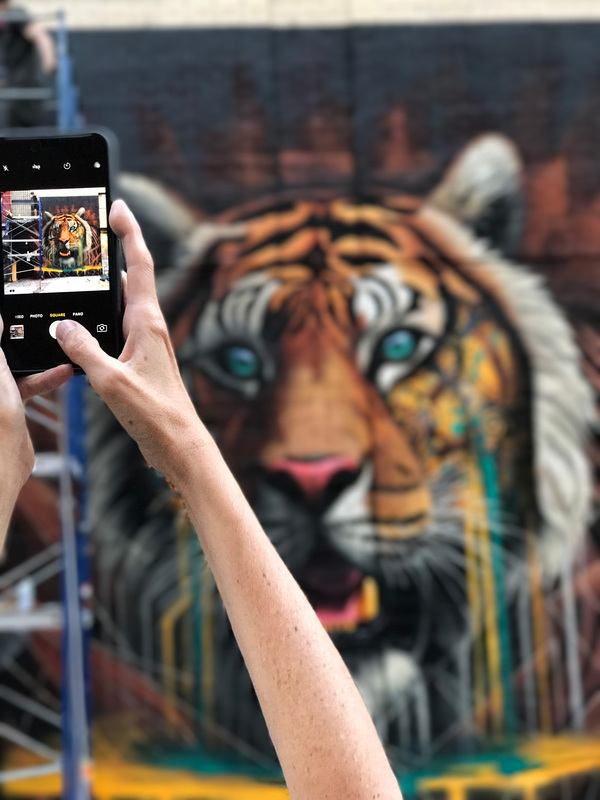 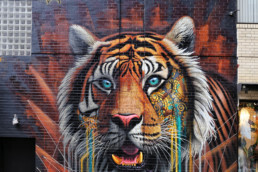 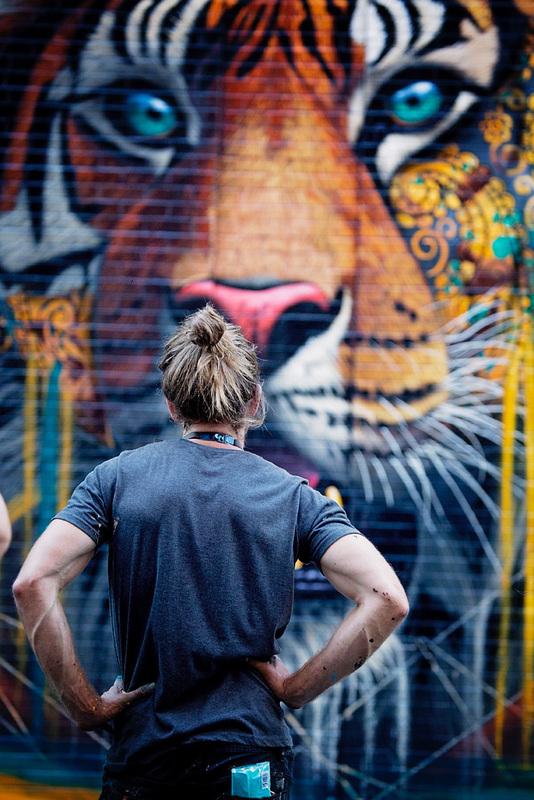 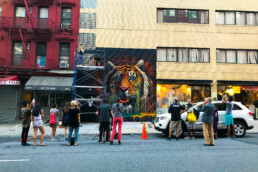 Discovery Communications teamed up with Sonny, to create a Project CAT tiger mural in SoHo, New York, to raise awareness for the plight of the wild tiger. 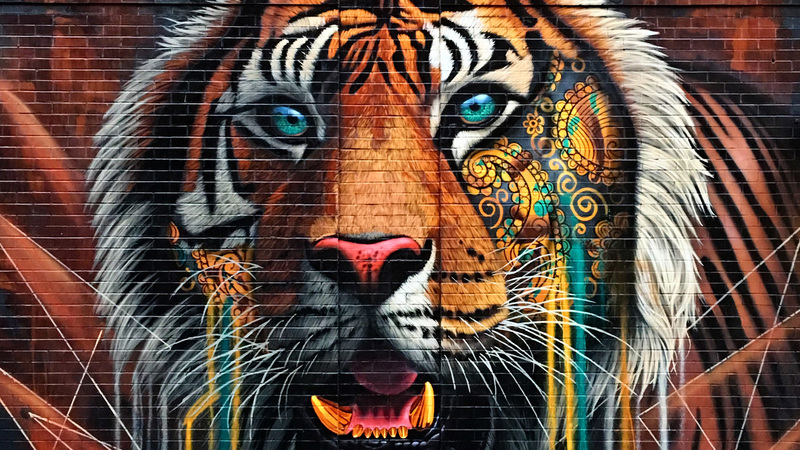 A century ago, there were 100,000 tigers on the planet. 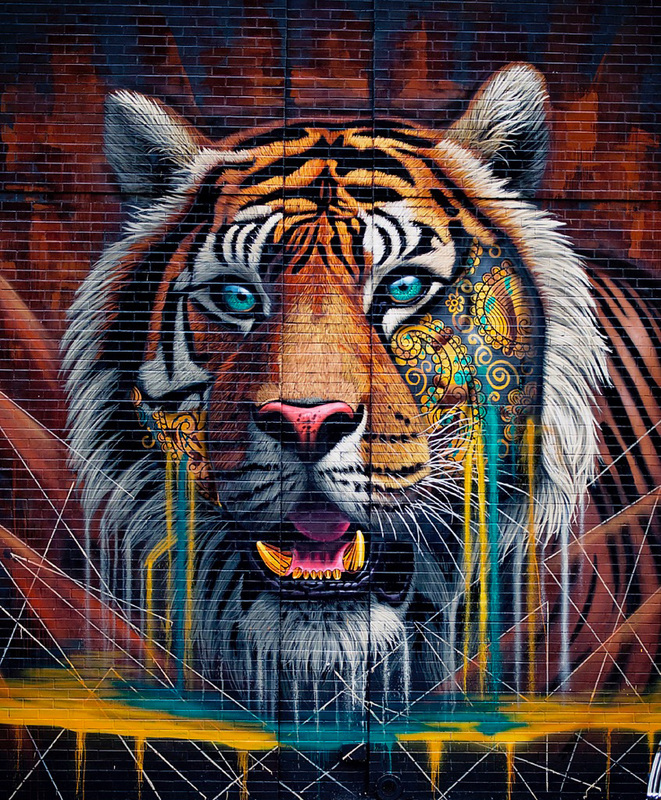 Today, there are less than 4,000 left in the wild. 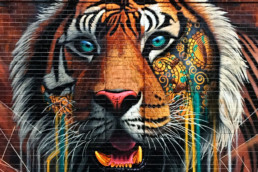 Discovery is supporting a worldwide effort to double the number of tigers in the wild by 2022. 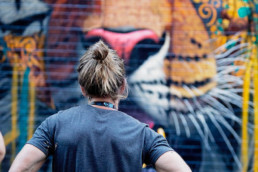 By conserving nearly a million acres of protected land on the border of India and Bhutan, Project CAT aims to ensure a healthy habitat for future generations of tigers. 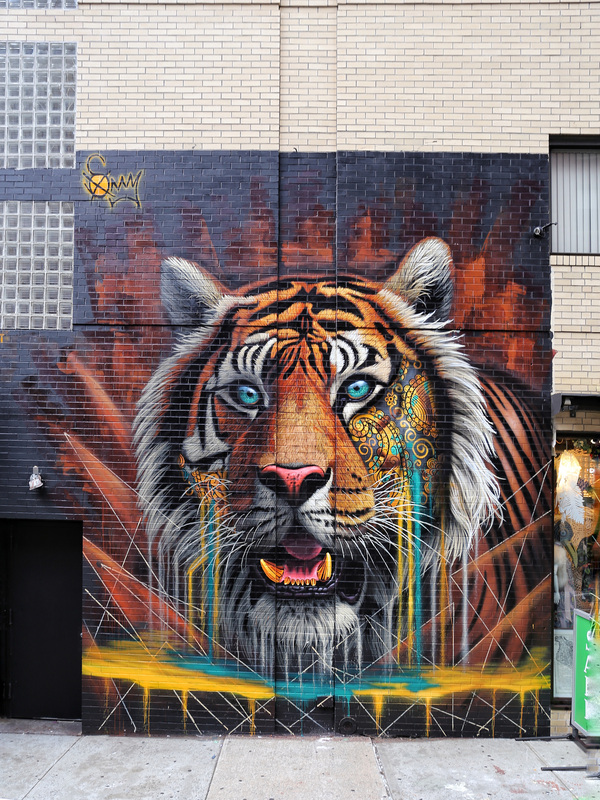 Sonny painted the traditional Indian on the tiger’s face as a symbol of how important these animals are to the land that they come from and the people who live there. 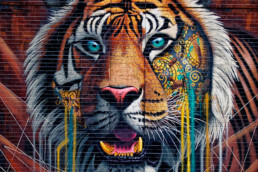 In the same way that a tiger’s stripes go beyond their fur, this deep connection is shown by how the pattern is on the skin of the tiger not just it’s coat. 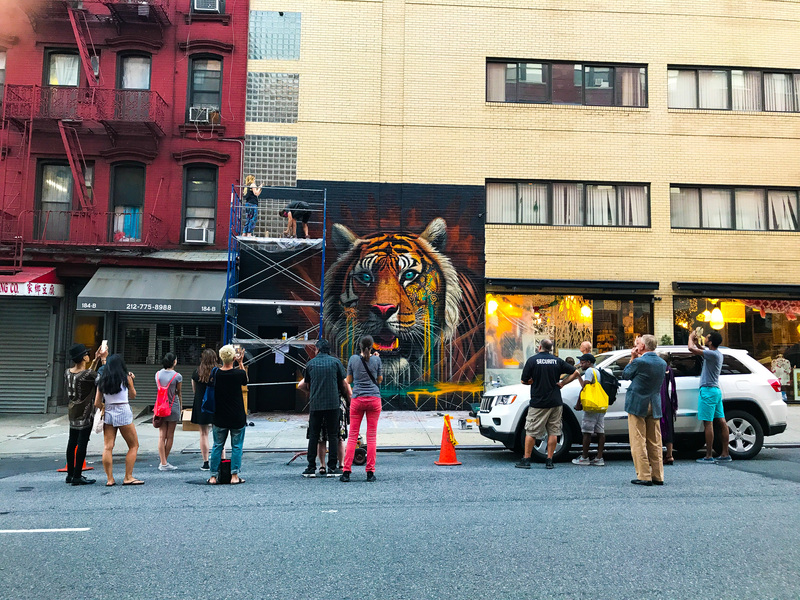 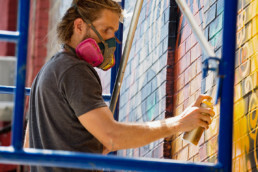 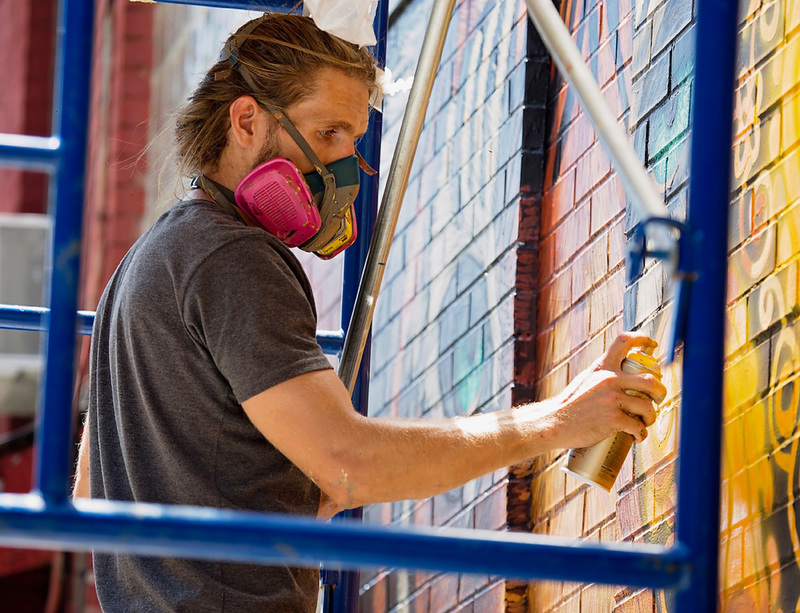 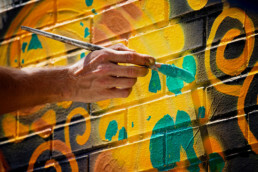 The mural is curated by The LISA Project, a non-profit organisation that is bringing together a diverse group of street artists to create a mural district in Little Italy, Manhattan. 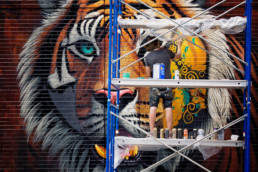 Learn more about how you can join the CAT fight to protect tigers here.